Forty-one percent of Americans predict they will retire at age 66, according to a 2018 Gallup poll. The same poll showed that the percentage of people who want to retire sooner — i.e., before 60 — has dropped. A retirement age of 65 was once considered manageable by the government, but the current trend shows people are retiring later in life. The main reason for this is maximizing retirement benefits; withdrawing them at a later age means you can withdraw more than you would at an earlier retirement age. Other people are working later, but should you? 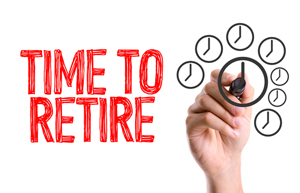 Figuring out when to stop working requires considering a number of factors; here’s what you should think about in order to best decide when to retire. « Prostate Cancer Treatment: Surgery or Radiation?